15st 6lb, 4.4 units. I had an automated call this morning: “Hello, we have been trying to contact you about your accident.” It follows months of text messages telling me about the £3,500 I could claim for an accident I have never had. I thought these were simply spam until Jack Straw raised the whole scandal of referral fees earlier in the week. But I still don’t understand who has referred me to these sharks, given that I haven’t had a car accident since 1989. That was, I will admit, a bit of a corker: a head-on collision that put some poor sod in hospital and wrote off two cars. But it seems unlikely that I will be able to make a successful damages claim for it now, given that (a) I have allowed 22 years to elapse and (b) it was my fault. 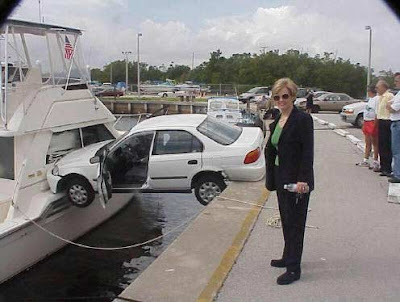 Mrs H has had the odd accident on my insurance policy, it is true, but has suffered no personal injury as a result. Though obviously it has been a close-run thing. Luckily I have never had a suitable blunt instrument to hand when she has broken the news. My personal favourite was the time she had a minor prang in a courtesy car while her Audi was being serviced, and I found our joint credit card charged with the £500 excess on the garage’s insurance policy. I asked how the accident had happened and she explained that she had been waiting to turn into a filling station, to replace the petrol she had used before returning the car. Her car is an automatic and the courtesy car was a manual, so she had stalled it and someone had run into the back of her. An open and shut case, it seemed to me. You run into another car and, unless they were doing something really criminal stupid at the time, it is invariably your fault. So it was quite clearly down to the other driver to pay for all the damage. I nagged her for months about getting our £500 back. It was almost worth £500 to hear that. I did say “almost”. It could have been worse, I suppose. At least Mrs H did not smile proudly about it afterwards.